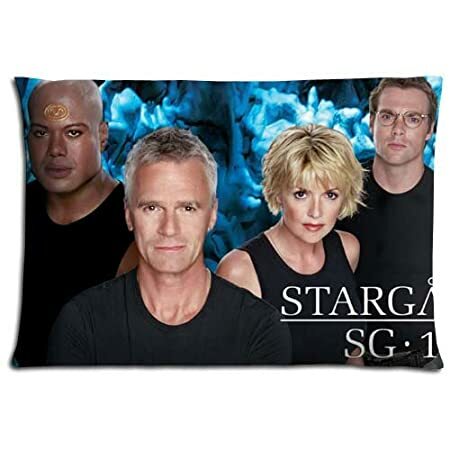 Today we have found some fantastic gift ideas for any Stargate fan. 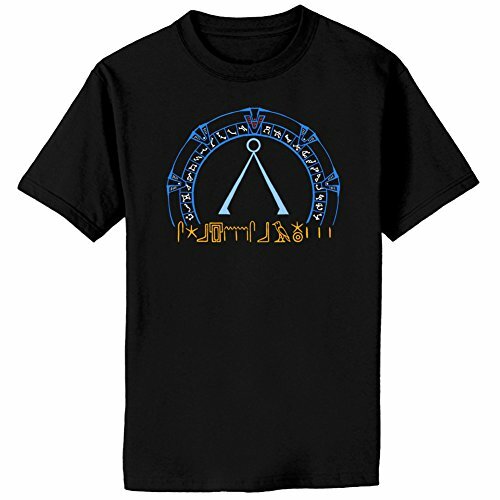 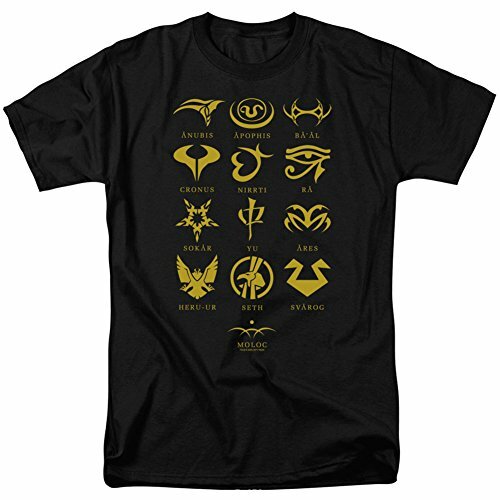 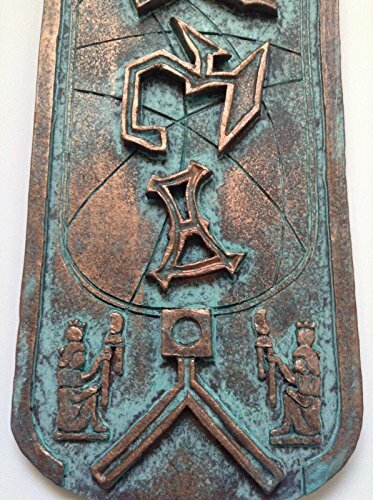 Whether you are a fan of Stargate SG1, Stargate Atlantis, Stargate Universe or all three of the Stargate tv shows, there is such a range of themed Stargate gifts out there, you are bound to find something that is perfect for the Stargate fan in your life. 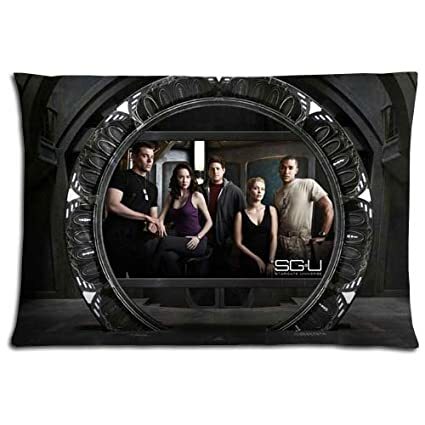 My favorite find of the whole selection of Stargate gifts today, has to be this epic Event Horizon shower curtain! 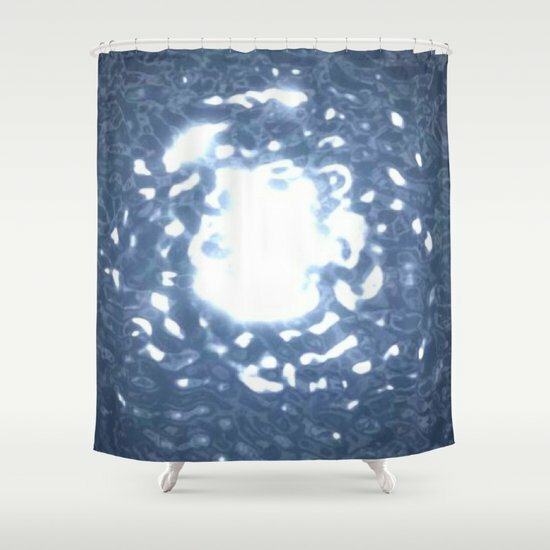 I thought the Star Trek Transporter Room shower curtain was the best ever but now I am not so sure! 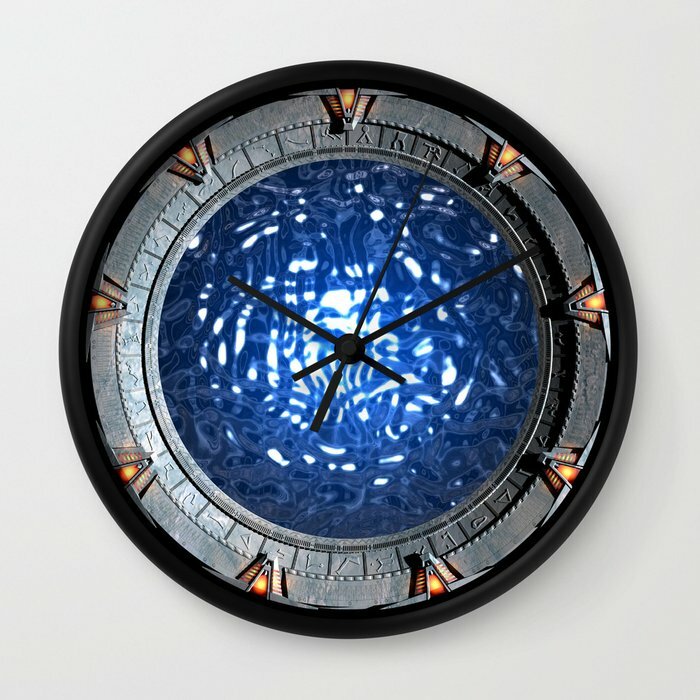 I also love this Stargate wall clock showing the outer dialling ring as well as the event horizon – it’s a perfect design for a clock I think. 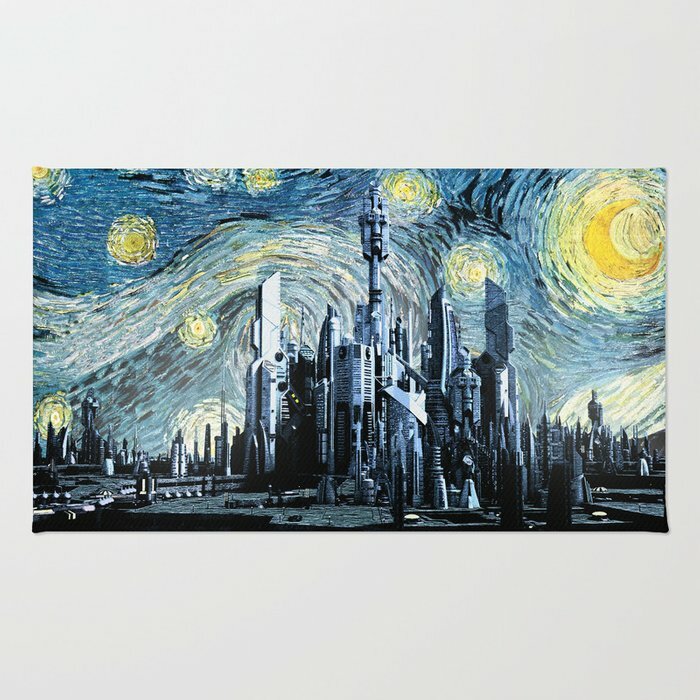 I’m throwing my love around generously today as I also love this Starry Night over Atlantis rug. 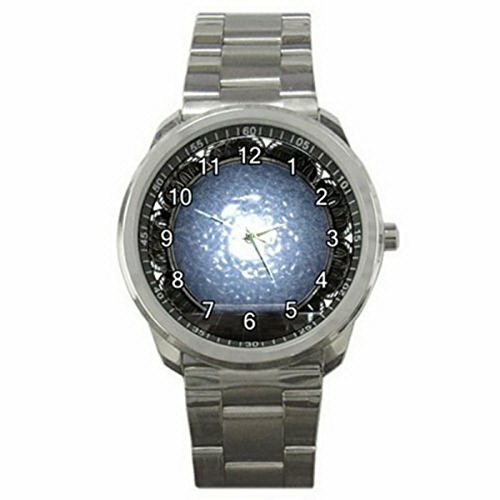 It’s a crossover from the Doctor Who episode with Vincent Van Gogh but I think it works really well in this design too. 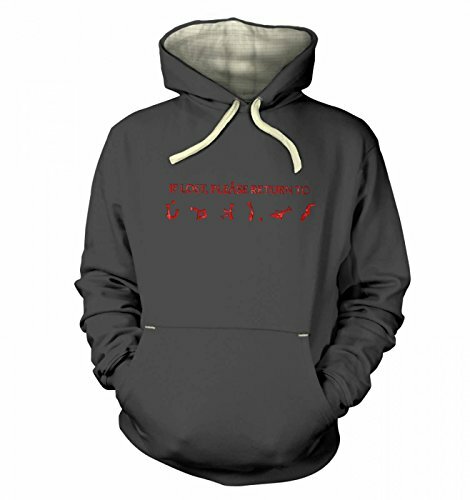 Besides, I like Doctor Who so it has double love from me! 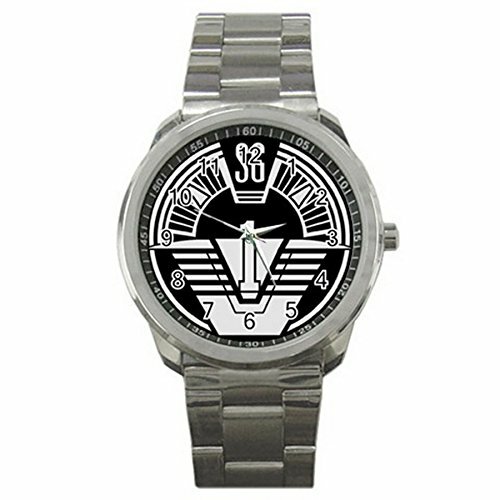 Next up we have a small selection of jewelry and wristwatches for guys. 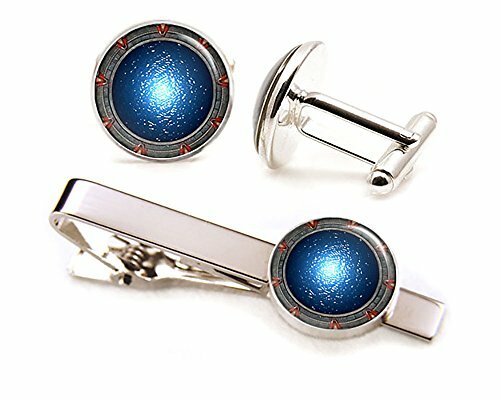 There wasn’t much choice in this category but the Stargate wormhole image makes for an unusual cufflinks design. 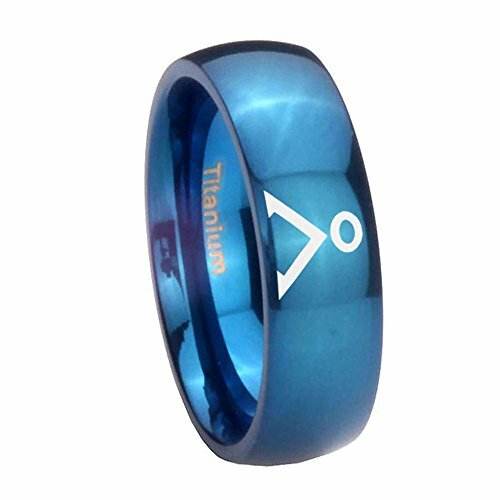 The blue titanium ring has the earth symbol for the home address and slightly beveled edges for a more comfortable fit. 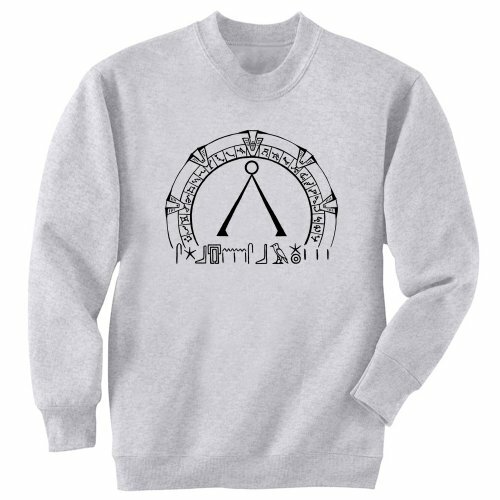 I guess the circular Stargate SG1 logo is a perfect design for a watch face if you don’t want an actual Stargate wormhole on your wrist or a simple Earth symbol might suit you better if you prefer a leather wrist strap. 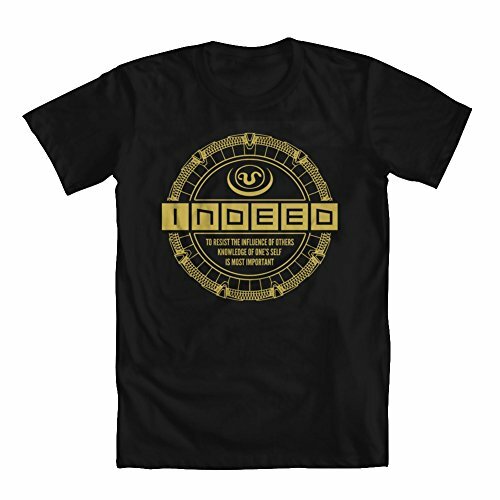 The earth symbol features regularly on Stargate t-shirt designs but I think my favorite has to be Teal’c’s famous phrase, “Indeed”. 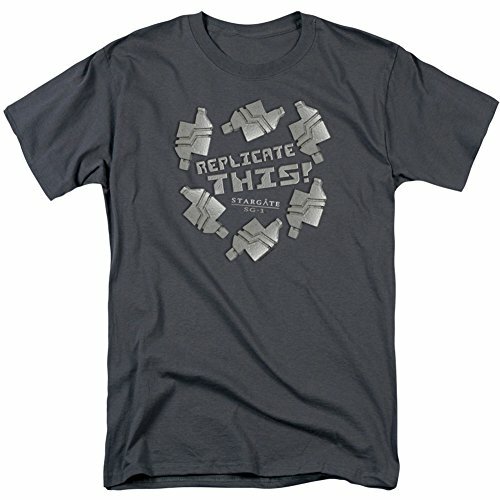 I also really like the ‘replicate this’ design too. 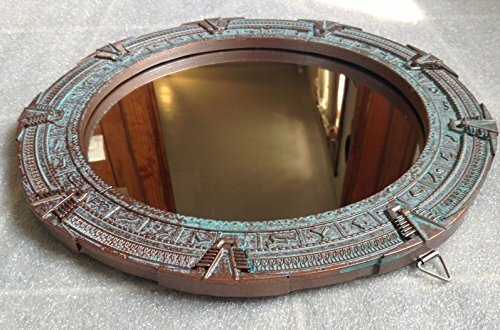 Next up, we have a selection of Stargate themed gifts for the home – like the clock above, this large mirror has a gorgeous patinated metal frame to represent the Stargate and if you like patinated metals, the copper replica cartouche is a nice and very unusual decorative Stargate item. 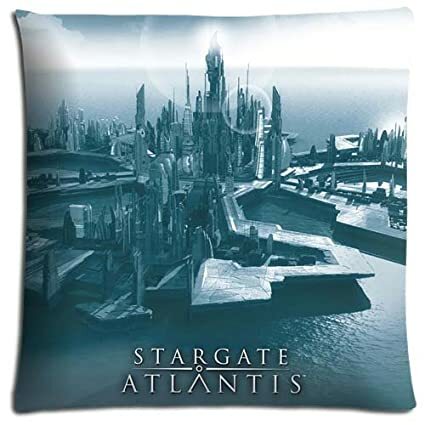 Of course, pillows are always an easy way to add a splash of color to a room but you can also use them to add a theme instead – these three selections represent each of the three Stargate TV series but there were loads of other Stargate pillows available, from cast member portraits to scenic views of the various worlds. 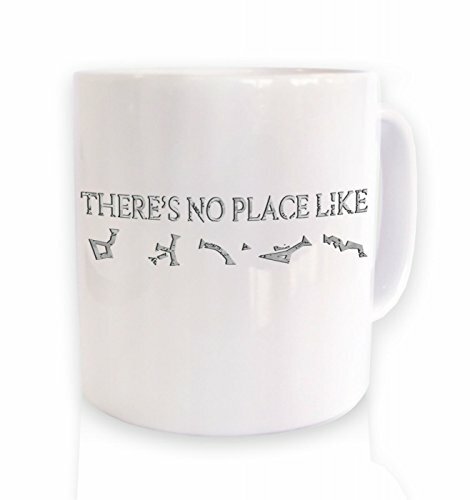 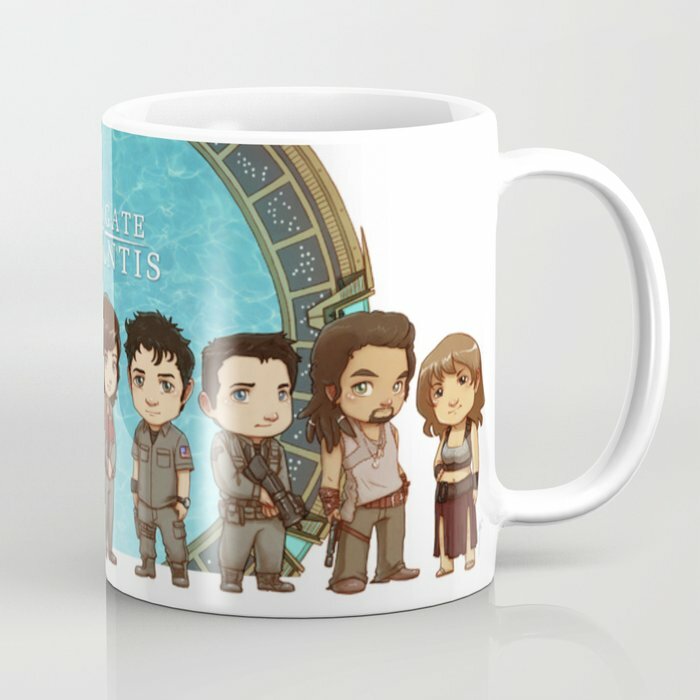 I couldn’t do a Stargate themed post without these cool and very clever coffee mug designs. 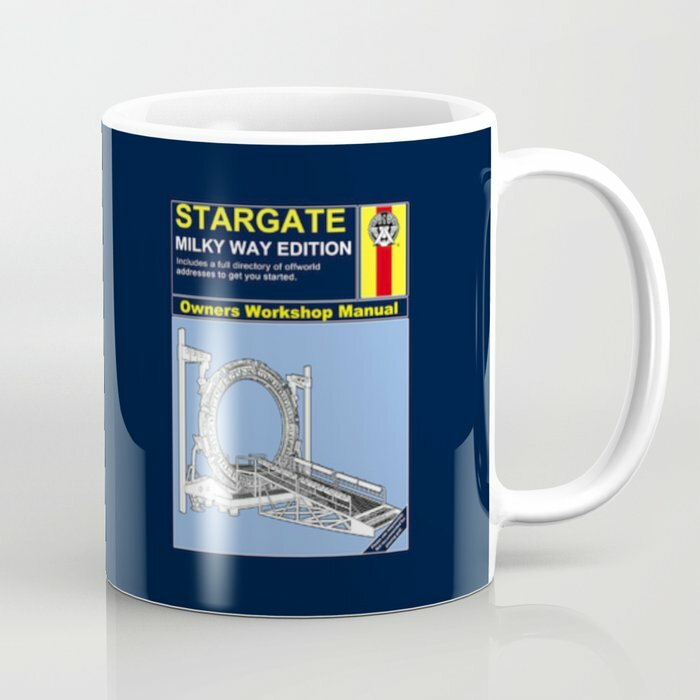 If you know any amateur car mechanics, you will recognise the distinctive Stargate manual design and there are other manuals available, including the puddlejumper! 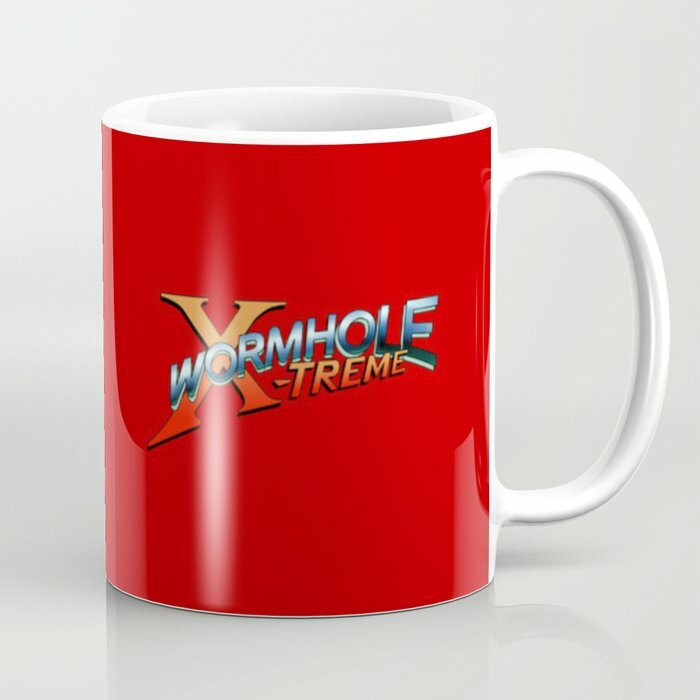 The Wormhole Extreme episode is celebrated by this mug and I’d guess that only other Stargate fans will recognise it! 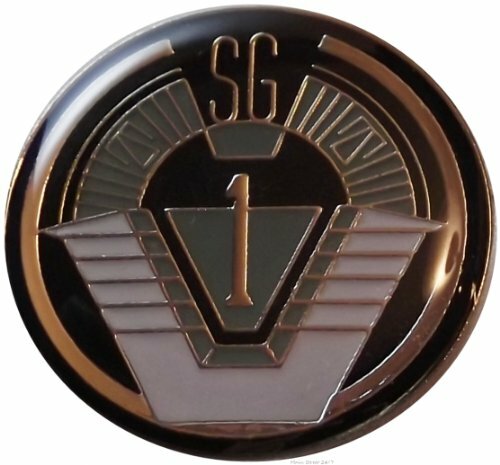 Don’t forget to check out our Facebook page – Gifts for Gamers and Geeks – we post short time special offers, giveaways and geeky or gaming news items there so give us a like and you won’t miss anything!